Heatherington is one of the densest residential neighbourhoods in Canada’s capital city, Ottawa. Like many contemporary North-American cities, patterns of urbanization are shifting populations from urban centers to sprawling development in outer suburban areas. Heatherington is one of those peripheral areas, which are strongly urbanizing and attracting the interest of many private developers buying the majority of the land. While gentrification and inequality are usually the direct outgrowths of the ownership of the city by the advantaged, is Heatherington showing early signs of what Richard Florida calls the new urban crisis? The neighborhood is already known for being one of the lowest-income areas of Ottawa with high unemployment rates. Its community is one of the most diverse with 45% of its residents being immigrants from various parts of the world. 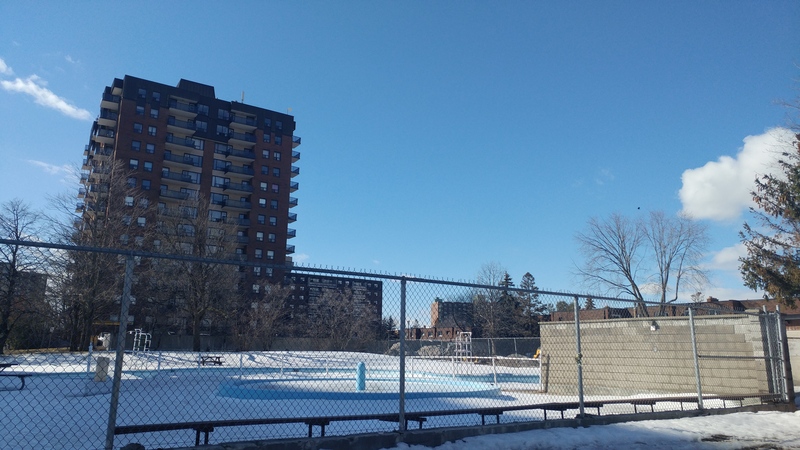 It is packed with low-income housing programs, such as Ottawa Community Housing and Fairlea Park Cooperative. The neighbourhood is also known for its police guns and gangs investigations. Yet, public safety doesn’t seem to be the main concern of the residents. 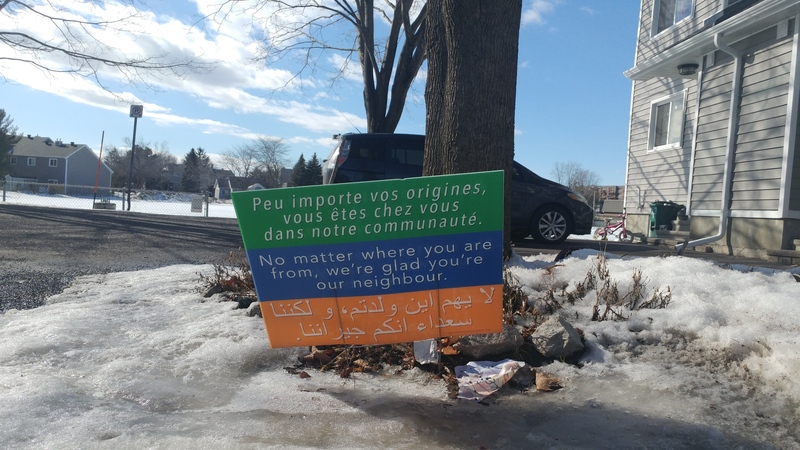 For them, Heatherington is a multicultural and vibrant place to live, but city services should be the focus rather than infrastructure as it is getting harder for low-income people, and there is an increasingly racialized poverty. 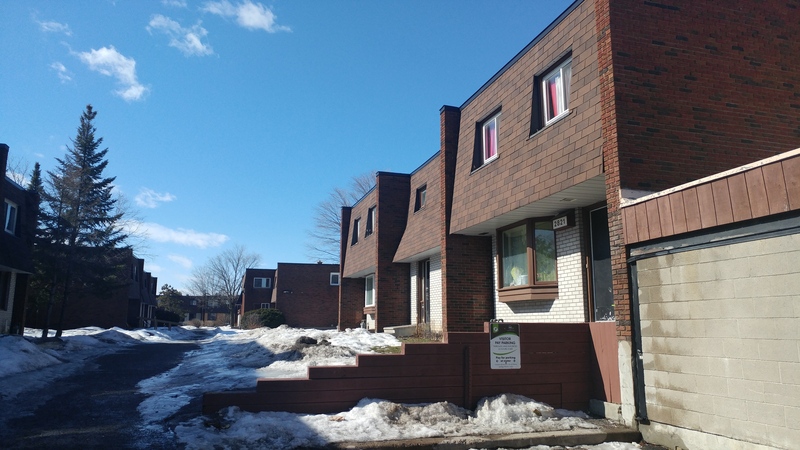 This social and urban situation has put Heatherington on the list of selected priority neighbourhoods to be part of the Building Better Revitalized Neighbourhoods (BBRN) program, initiated by the city of Ottawa to improve lives of people living in low-income neighbourhoods. To revitalize the area, the City aims at developing a plan for a 8.3 acre city-owned site on 1770 Heatherington Road, formerly a city works yard that was decommissioned in 2012. To identify local needs, the City worked with the community in a way that they have never done before by attempting to break down the silo-approach to planning. From January to March 2017, a public consultation process was put in place and focused on asking people three main questions: what they liked about their community; what would improve it; and what they would like to see built on 1770 Heatherington Road. With more than 800 responses received throughout the process, the city defined a set of priorities, which helped them develop three concept plans for the site that they are now advancing. However, while some would welcome this participatory initiative which has outlined local priorities such as the need for community spaces and services, for mixing and affordable housing and green spaces, others would wish to deepen the reflexion. 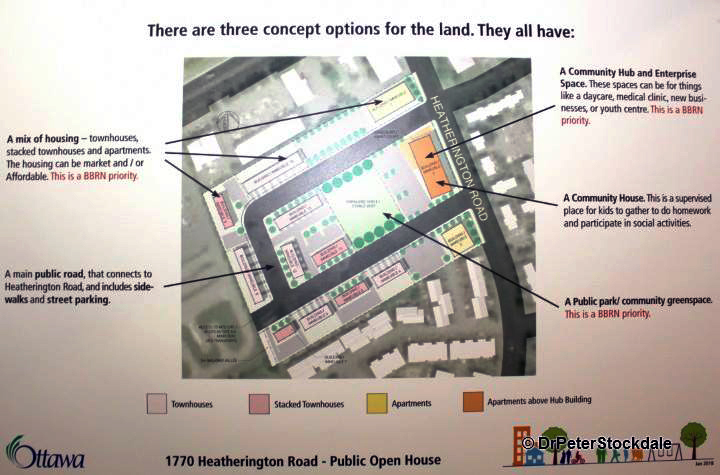 One thing is for sure; the process seems to have created a momentum for the community to think about the future of their neighborhood and the active role they can take to have a real impact on not just what 1770 Heatherington Road will look like and offer in terms of activities, but on the overall vision for the neighborhood on the short and long term. A Community group, the Heatherington Community Land Trust, is concerned that Heatherington’s urban revitalization might be driven by capitalists who profit by rebuilding some neighbourhoods and running others down. It is already happening across Walkley Road, an arterial and commercial main street that acts as a spacial divide between Heatherington’s low-income residents and the richer area, which seems to be slowly gentrifying. For them, the ongoing urban developments will only raise rents in the neighbourhood, driving out residents on fixed incomes who already struggle to afford market rates. The group sees in the BBRN initiative an opportunity to explore the possibility of buying a lot from the city at 1770 Heatherington Road. The aim is to protect it from market forces in the future, as power mostly lies with private, for-profit entities, which control about 70% of the land in Heatherington. Currently, there is no community-owned land. 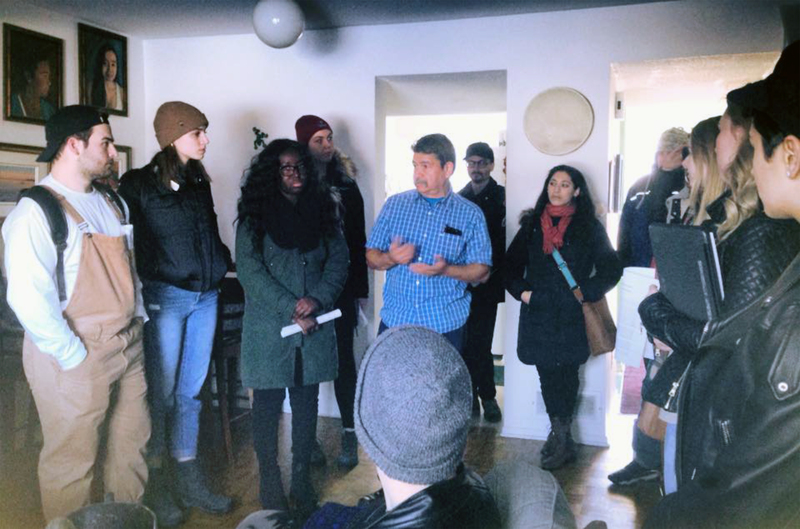 A Community Land Trust (CLT) is seen by many as the only way to bridge this gap, protect the community’s interests and empower its capacity to be involved in the decision-making process to make their community better. In February 2018, the CLT in the making has organized a public discussion to collectively explore its potential and expectations to which urbz Canada took part. 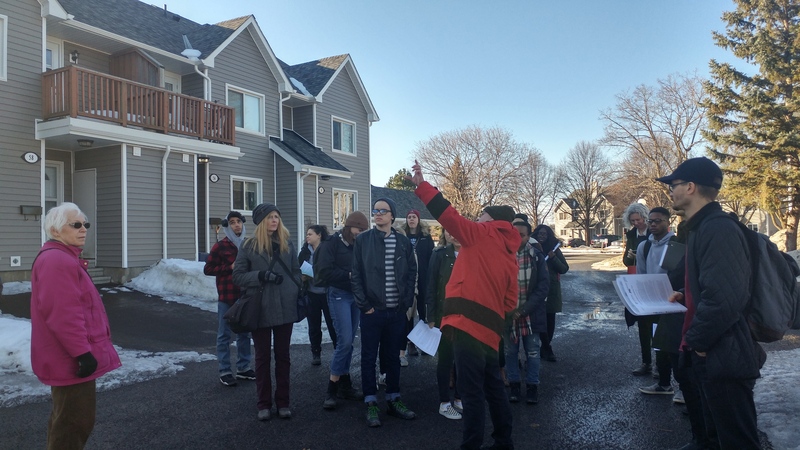 A group of Carleton University Geography students enrolled in a program on social justice in the city will also support the CLT’s initiative by conducting fieldwork to document and profile the neighbourhood. The session included an urban walk through the area for the students with interaction with members of the community, and a panel discussion that featured talks about the local history and environment and the BBRN process from community members, and participatory planning from urbz. 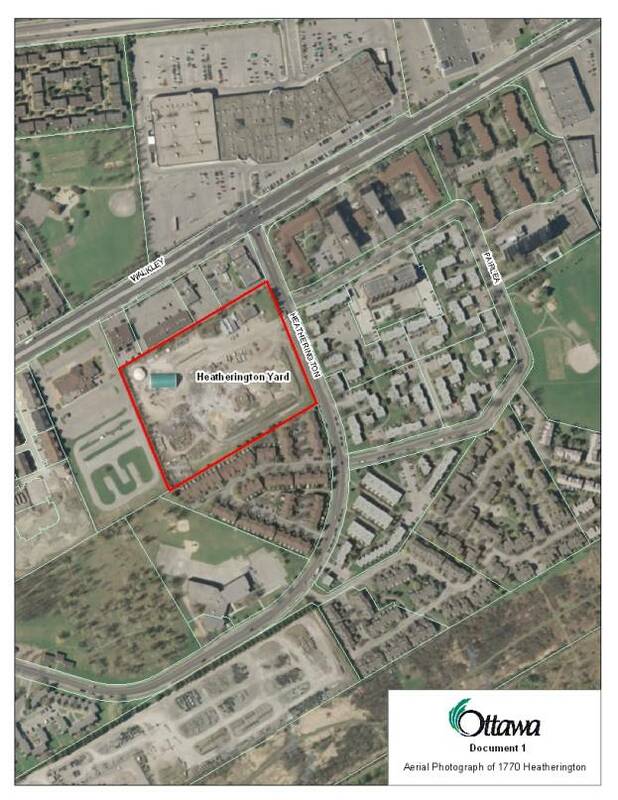 The discussion highlighted the opportunity to rethink social housing models and for the community to continue to work closely with the City to shape the new plan for 1770 Heatherington Road. It would help determine the program and activities to fulfill the community’s needs and define how those spaces can be organized and governed with clear strategies for implementation. While there are still missing resources, the community’s willingness is strong. As a member puts it; “aren’t we allowed to dream big in Ottawa?”. In stories of civic engagement, cities have been engines of innovation and dreaming has always been the first step for social progress.